DISCLOSURE: Thank you to Graeter's for kindly sponsoring this post. All opinions are 100% honest & completely my own. If you're a busy mom like me, then you probably have lots of extra holiday gifts to buy, and not enough time to do it all! With four kids of our own, we have 13 teachers, 3 therapists, 3 dance instructors, a coach and 2 bus drivers to buy gifts for. Add in gifts for family, friends and party hostesses, and things get complicated AND expensive! 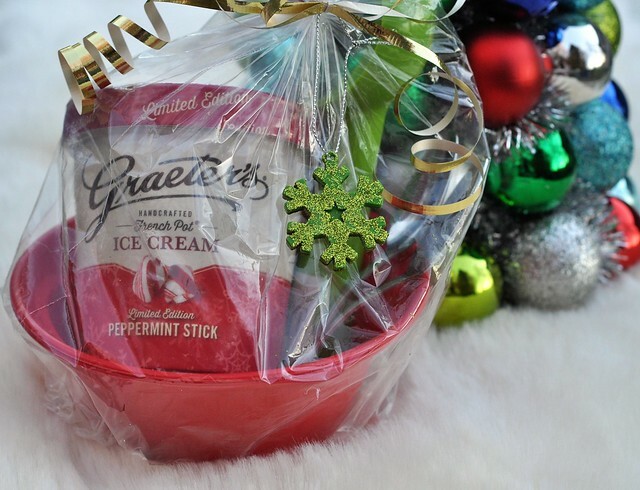 Thankfully, there's a simple solution for some of those gifts: Super sweet (and easy) DIY Ice Cream Gift Bundles! One of my goals for 2017 was switching to a healthier lifestyle for my entire family! Rather than overwhelm myself by trying to do everything at once, I made gradual changes throughout the year. 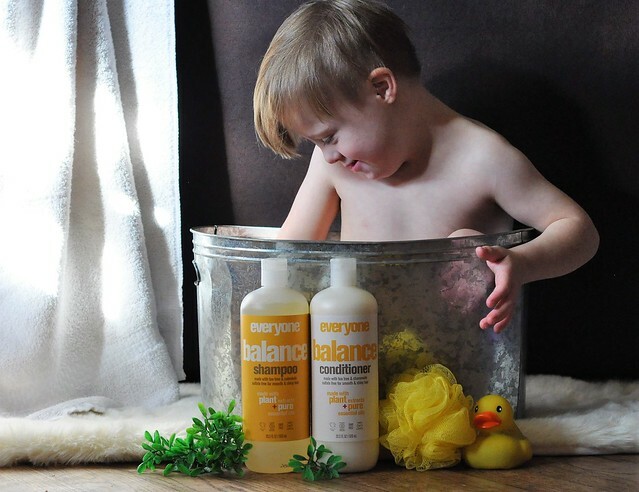 Introducing healthier, more natural products was one of those changes. I even found a safer haircare regimen that is great for everyone! Welcome to the Teenage Years! Last Wednesday, we celebrated a milestone birthday in our family! 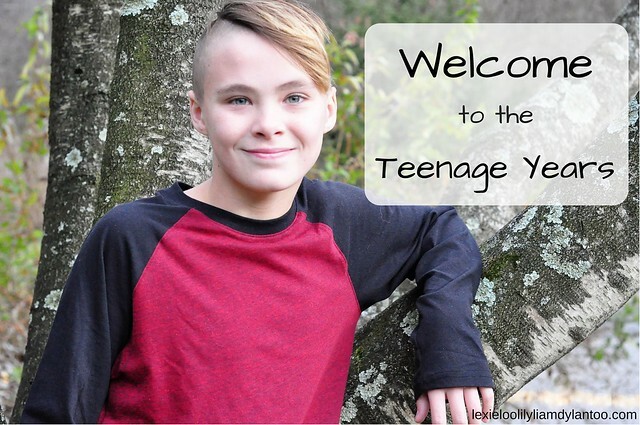 Although it feels like we've had a teenager living in our home for the past few months, November 22nd was Dylan's 13th birthday, and our official welcome to the teenage years! If your kids are anything like mine, they don't need many toys for Christmas! Our living room very closely resembles a toy store. Because we have an abundance of THINGS, we would happily welcome an experience or an activity as a gift this holiday season! Thanksgiving is less than a week away, and I'm currently thinking about all the delicious food I'm going to eat! I mean, of course I'm going to whip up some recipes, too, but thinking about eating is much more fun. 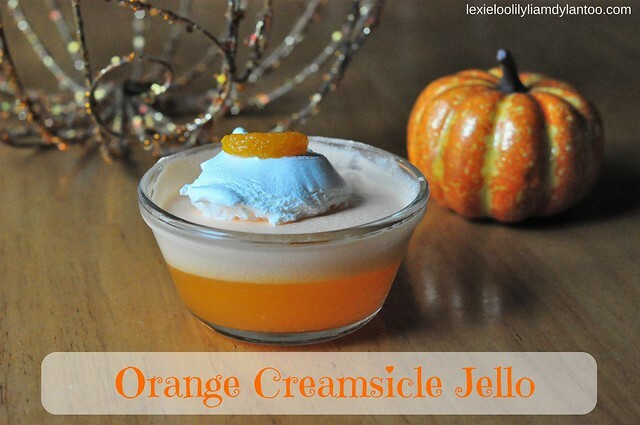 Our upcoming Thanksgiving meal inspired me to share an Orange Jello family recipe that has been a part of every holiday meal for literally as long as I can remember! This is a sponsored post in partnership with The Motherhood on behalf of UPMC. Whether you are a working mom or a stay-at-home mom, have one kid or 10 kids, life as a mom is busy! As a mom of four, wrangling chaos and juggling kids and schedules is my norm. I don’t have much time to worry about anything else. Worrying about arranging healthcare, especially for sick visits, shouldn’t top my list of worries! Thankfully, there’s an app for that! UPMC Anywhere Care allows you to have a face-to-face visit with a doctor right from your mobile device or computer! The app is free to download, and it’s also free to sign up for an account. The visits start at $49, but for those with a UPMC Health Plan, the cost is similar to a copay. If you live in Pennsylvania, you will be able to visit with a UPMC doctor during your video consultation. For those outside of Pennsylvania, you will be able to visit a doctor from American Well, which is an online care group. All video consultations occur in real-time. The flu seems to be hitting everybody this year, and it can be very serious. Now you can see a quality health care provider with a UPMC AnywhereCare virtual visit without leaving your home! And if you sign up at http://upmchp.us/MHUPMCAnywhereCare by March 5, you will have a chance to win a digital thermometer! When one of my kids gets sick, it’s a lot of work just to schedule an appointment with their pediatrician. Not only do I have to work around five different schedules, but I also have to arrange childcare for my other kids, unless I want to bring my entire crew to the sick visit. If that doesn’t work, we end up at Urgent Care after my husband gets home from the office. Although necessary, it does cause added stress for all of us. And if there’s a sick parent? Those appointments rarely happen! Time is a bittersweet thing. It goes by way too quickly and just slips through my fingers! One event flows rapidly into the next until it's a steady stream of constant activity, and before I know it, months have gone by. I'm going to be completely honest with you. I can barely keep up and my days are a complete blur! That's my only explanation as to why I'm posting about Lily's 6th Birthday three months after the fact! The sad part is, I didn't even realize it until I was clearing out my drafts folder. I *thought* I had posted about it already. Actually, I also found Liam's birthday post and the rest of our vacation posts in there, so I'm going to be interspersing those events with current posts over the next few weeks. Such is the life of a mom of four: Always playing catch up! SO...it's hard to believe, but Lily is now 6 years old, and she has been for, oh, 3 1/2 months. But still...6 is so old! 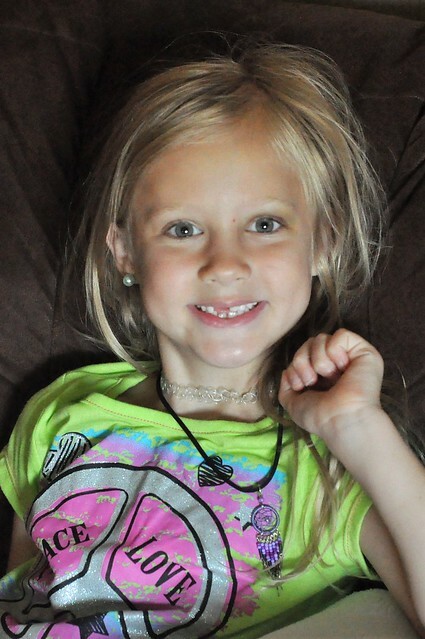 When I think about how big she is getting, it makes me both incredibly proud of the amazing person she is growing up to be, yet sad at the same time! 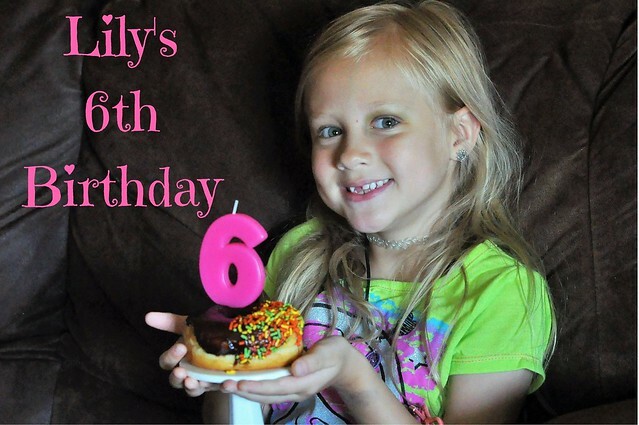 Lily had an awesome birthday this year! We work so hard to make birthdays special for our kids, and it always pays off. She was busy from the moment she woke up until the moment her head hit the pillow that night! On the beautiful morning of August 3rd, Lily awoke to a bedroom filled with balloons, a brand new outfit hanging up, and a living room decorated just for her! She was still sleepy, but oh so excited! DISCLOSURE: I received the products featured in this post in partnership with WooBamboo! If you have young kids, then you know it can sometimes be a struggle to get them to brush their teeth. It's just one of the many things that kids like to turn into a battle! Brushing teeth is a big part of every daily routine, so it's important to encourage healthy tooth brushing habits as early as possible! My three older kids have great dental care habits, and they love to visit the dentist, but it's still a work in progress with Liam. I have to get very creative in order to make tooth brushing fun for him. After 3 years of battling him (he is STUBBORN), we finally (almost) won the war! Over the past few years, I tried it all with Liam. Some methods failed miserably, while others worked like a charm! 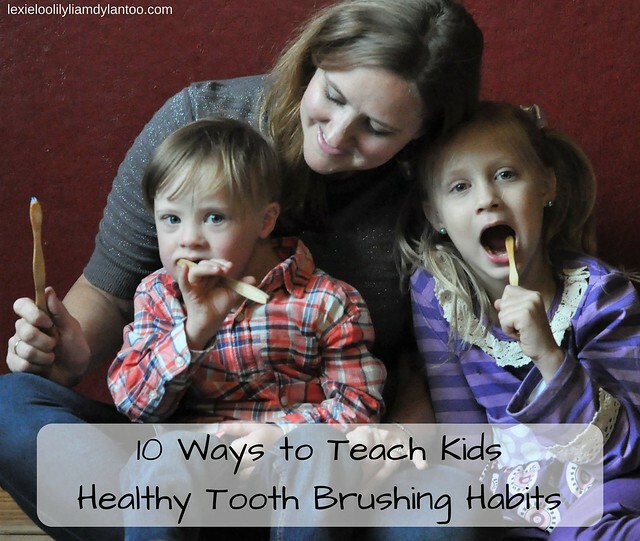 In an effort to help other parents dealing with the same struggle, I'm sharing ten of my favorite tried and true ways to teach kids healthy tooth brushing habits. Labels: Giveaways, Kids, Life with Kids, Parenting, Parenting Tips, Reviews, WooBamboo! Did you know that October was Down syndrome Awareness Month? I honestly didn't even know it existed until Liam was diagnosed with Down syndrome when he was a few weeks old. 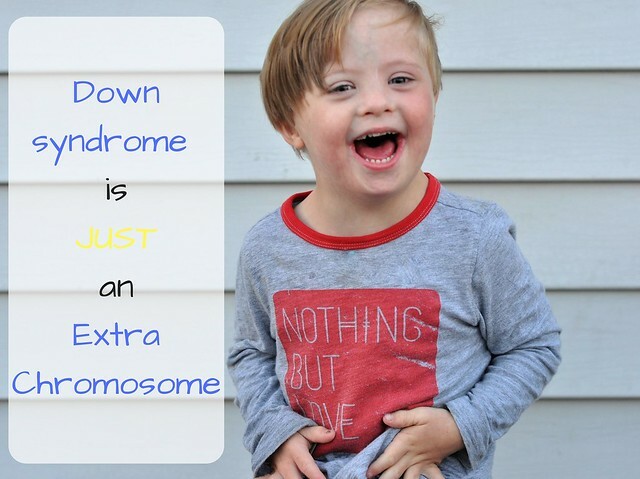 Now every year, during the month of October, I share a fact about Down syndrome each day in the hopes of breaking the many misconceptions about Down syndrome. This year, however, I did something different. I opted to share all the ways that Liam is more alike than different! Surprisingly, not many people recognize that Liam has Down syndrome. 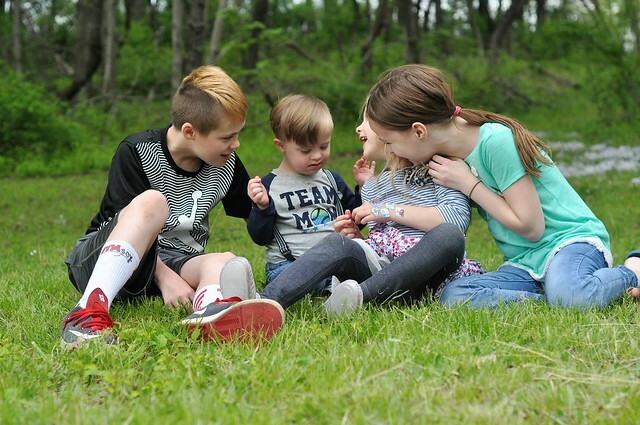 They often notice that there is a delay of some sort, based on his small size and limited speech, but unless they have personal experience with Down syndrome, it can be easy to miss. But when they DO find out that he has Down syndrome, I notice that they start looking for all the ways that he is different rather than focusing on all the ways he is the SAME. This year, I shared Liam each day exactly how we see him. 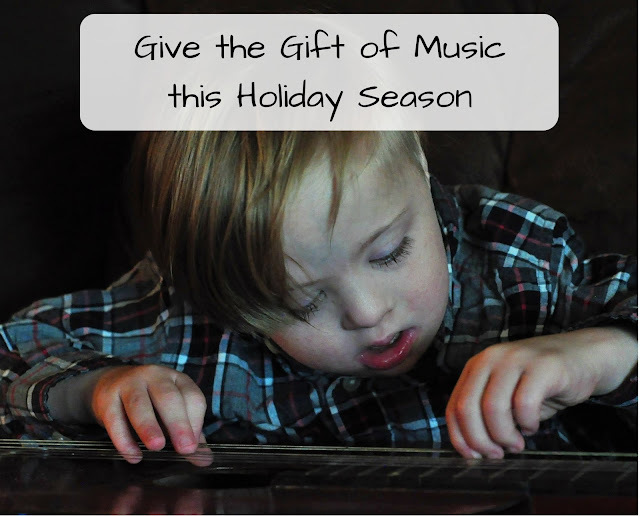 Down syndrome IS a part of our lives, but it's also easy to forget. To us, Liam is a boy, just like any other. 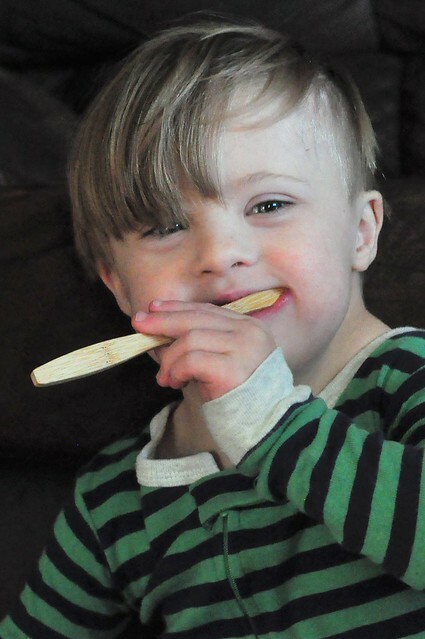 We often forget that he even has Down syndrome as we go through the usual busyness of life! Welcome to the least Pinteresting, most un-Instagram-worthy Halloween recap ever! Halloween isn't my favorite holiday, and it definitely didn't go as planned this year. Actually, I almost considered skipping the recap entirely, but I like to document the real life moments on my blog, so I can turn it into a book one day! Before I recap what we DID do, let me focus on what didn't happen. We were so busy in October, that I didn't even decorate the house until 10 days before Halloween. Those decorations are still up, and probably will be until I get a few moments of free time. We didn't make it to the pumpkin patch because travel soccer and life with kids consumed our weekends, then my mom had a health scare and ended up in the hospital. Our pumpkin - yes, singular - wasn't carved until the day before Halloween. We didn't make any crafts or recipes. Poor Liam didn't even have a costume, because I wasn't spending a fortune on a costume he would refuse to wear. I forgot to buy the kids their Halloween morning treats, which has been a tradition since Dylan was 1. The unseasonably warm October weather went away for Trick or Treating, leaving us all cold and miserable. And to top it off, my original Halloween recap completely disappeared before I hit publish on Friday, and now I can't upload my pictures properly today. Yay, Halloween! Before I move on to MUCH better holidays, such as Thanksgiving and Christmas, I'm going to give Halloween a final shout out. I'm not going to lie. I'm happily saying goodbye to the holiday that only my kids seemed to love this year...that is, until it was too cold to actually enjoy it! Here's to the few pictures I took and the most brief Halloween recap in blog history! DISCLOSURE: This post is sponsored by Netflix, but all opinions are 100% my own. I am a member of the Netflix StreamTeam. Every parent wants their child to excel. Like many others, I encourage educational activities as much as possible to boost their learning. But during the school year, I have to tread lightly. I don't want to force something on my kids when they already have enough to juggle with school, sports and activities. Learning can be fun, and there are plenty of ways to promote educational activities without overwhelming kids! The trick is to intersperse these activities with play. Play is EVERY bit as important as learning during childhood. Kids have a lot more pressure on them these days, so there must be time for them to let loose and do what they want to do! Dylan, Lexie, Lily and Liam are plenty busy between school, basketball, soccer, band, chorus, dance, acro and therapies (PT, OT and ST for Liam). We don't have much time these days for extra activities, but we try to fit them in whenever we possibly can. 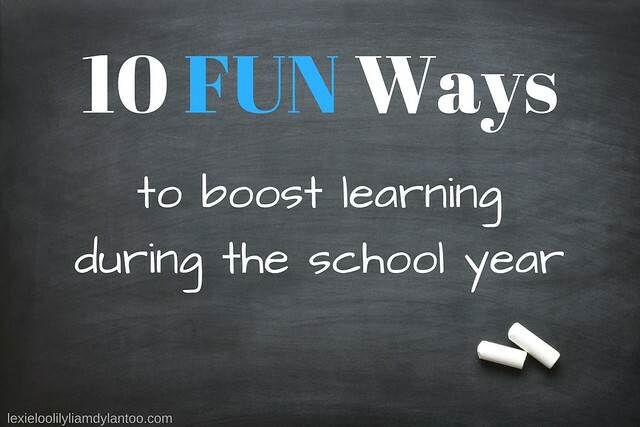 These ten fun activities are a great way to boost learning during the busy school year!